Blue Thread develops applications for Android and iOSmobile equipments. Blue Regatta is a fleet tracking application for Sailing Races, with a wide range of features, such as optimized start strategy, Layline determination, race path logging, and more. The Applet will be soon available on the Android Store. 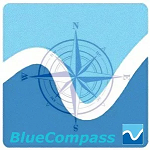 BlueCompass is a ready-to-use compass for your trekking days and daily life. Straightforward to read, it doesn’t require any mobile coverage and you can thus use it whenever you need and wherever you are! It is automatically adapting to your mobile device screen (smartphone, tablet) allowing for a faster and better reading. It does provide the heading (both graphically and in number) and the device position (Latitude and Longitude). Download and try this App !